Organza + 100% merino wool + sparkle lurex. 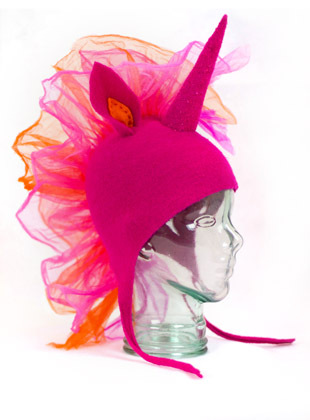 Hot pink hat with a sparkly unicorn horn, ears + an organza mane. Please specify baby or kid size. Both sizes have earflaps and approx. 9” long ties.